There are different ways, methods and tips are available to create an powerful content for your blog. SEO refers to search engine optimization). SEO is a broad concept and also an difficult concept to understand sometime. With the help of SEO, an blogger can create its article and to be indexed on Google search pages. Also grab an huge amount of traffic for their website and blog. 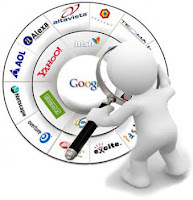 In this post you will find an awesome tips and ways on how to create killer and attractive SEO optimized content in 2013. Let's have a look! 1) Keyword is the important part of your blog, always choose highly targeted keywords. Don't repeat your keywords again and again. Avoid to use useless keywords like is, an, of etc. 2) Content of your blog should be reliable. 3) As i always said that uniqueness leads to success of your blog. So try to write an unique and attractive article for your blog/website. 4) Give internal linking to your article, as if your reader found it interesting and click on that particular link then automatically jump to next of your post. 5) Always research before you start writing for your blog. Always do full research on your topic and do collection of related items to your post. 6) Give H1 tag to your title and than give H2, H3, H4 tag to your subtitles. 7) Give meta-tags to your article via it should be indexed in the Google search pages. 8) Give ALT tags to your images, don't just give an random names to your images. Use 2-3 images in your post and give their alt tags. 9) The keywords which is used in meta-keywords-tag must somehow appear somewhere within the body of text. Otherwise, your webpage can be penalized for irrelevant content. 10) Some write up an article for SEO friendly and some are write for their audience but an good blogger always write on both. Just remember your target is to gain huge traffic than your blog leads to success. So be unique, creative and professionalism while creating post for your blog.